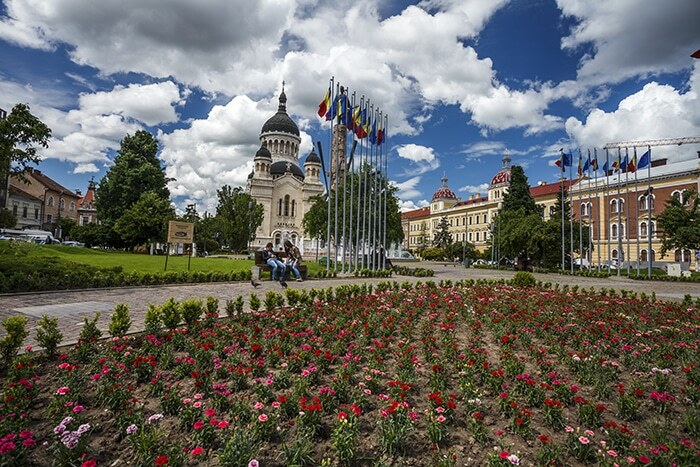 Cluj-Napoca is Romania’s largest city, after Bucharest and a true European cultural capital. 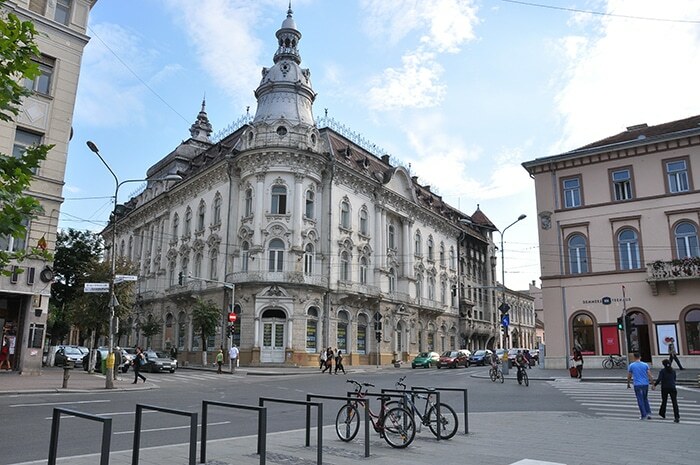 Being an important historic and academic centre, Cluj-Napoca manages to harmoniously combine the century-old heritage and the contemporary bustle. 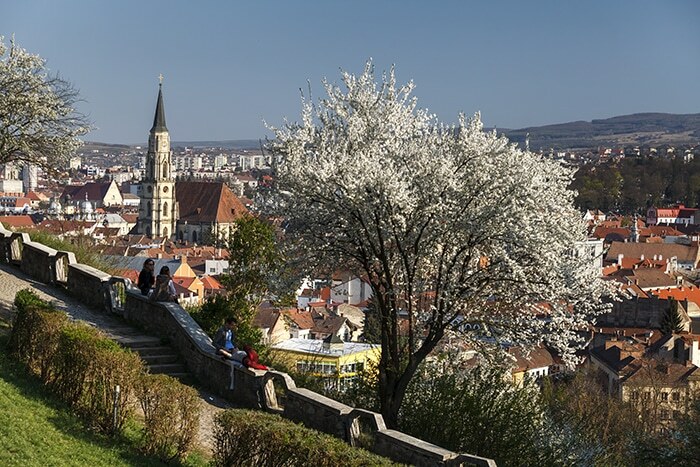 And if you reach the city of Cluj-Napoca, we recommend you to take at least one day to enjoy the medieval atmosphere and to explore the architectural beauty of its historical buildings. 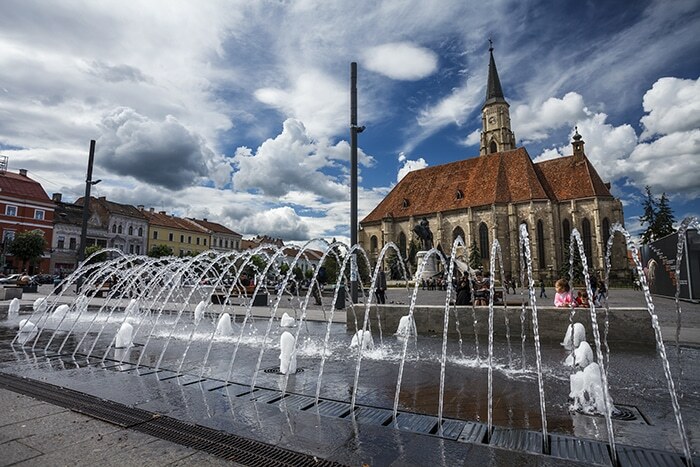 The Unification Square is one of the most important symbols of this treasure city, located in the heart of Transylvania. 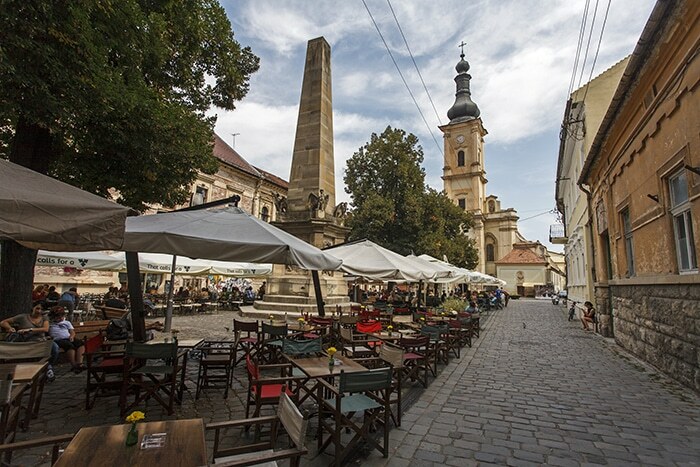 In the middle of the Square, one can admire the St. Michael Church and the statuary of King Matthias Corvinus, which make it an impressive tourist objective, a central point of attraction and a meeting place for both locals and tourists. The Unification Square is Cluj-Napoca’s zero mile marker, as well. 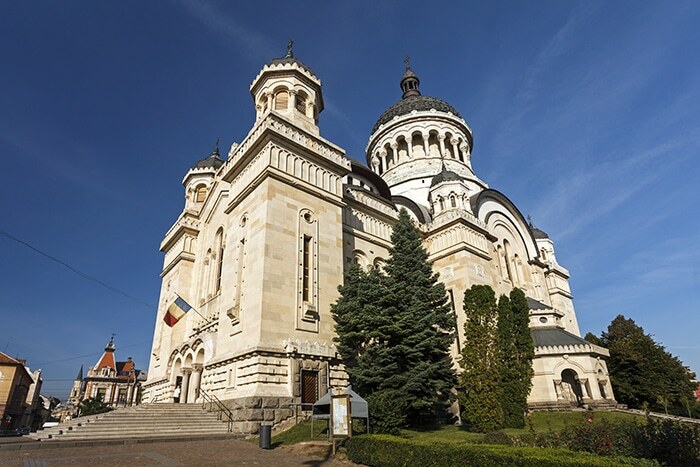 The Saint Michael Church of Cluj-Napoca is an impressive historical and religious monument, which has witnessed numerous events. The Saint Michael Church is also one of the most representative gothic buildings in Romania. Built between the 14th and the 15th century, the church is located in the current Unification Square, becoming one of the city’s most representative monuments. 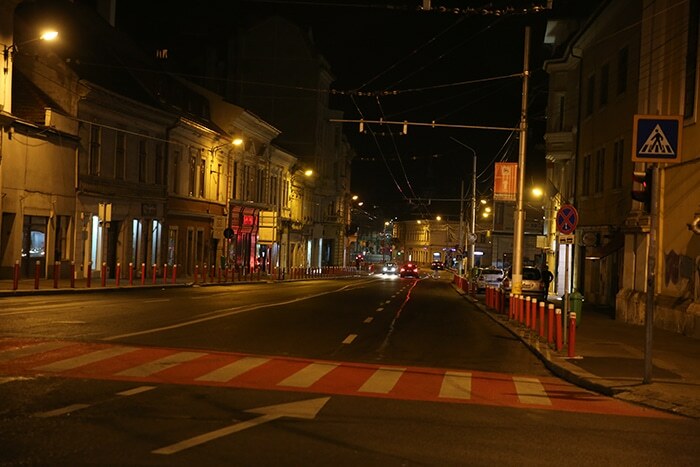 The Cluj-Napoca’s Street in the Mirror, officially named Iuliu Maniu Street, is a unique attraction in Transylvania and it has been built upon the modern concept of Paris, according to the vision of Hausmann, the architect. The Street in the Mirror has been built symmetrically (between the Unification Square and the Bolyai Street), in the 19th century, having an eclectic style and the street owes its name to the two identical buildings, which are to be found upon taking this street coming from the Unification Square. The Botanical Garden of Cluj-Napoca is a scientific, academic and educational institution, subordinated to the Babeș-Bolyai University. It is spread over a 14 hectare area, variously configured and it is suitable for growing and developing plants from various continents. 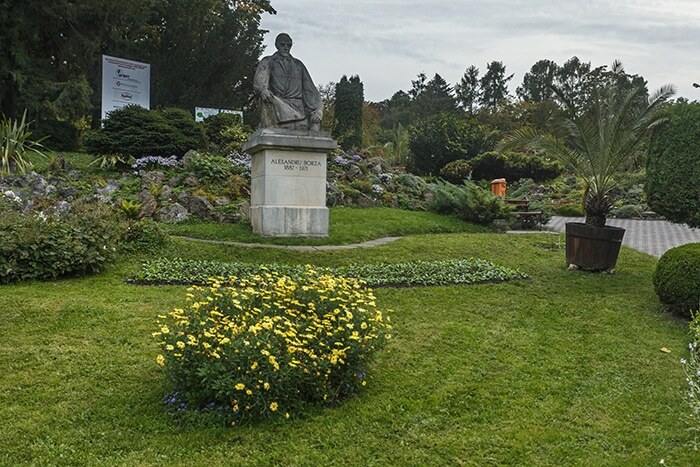 Currently, the Botanical Garden hosts more than 10.000 specific categories. 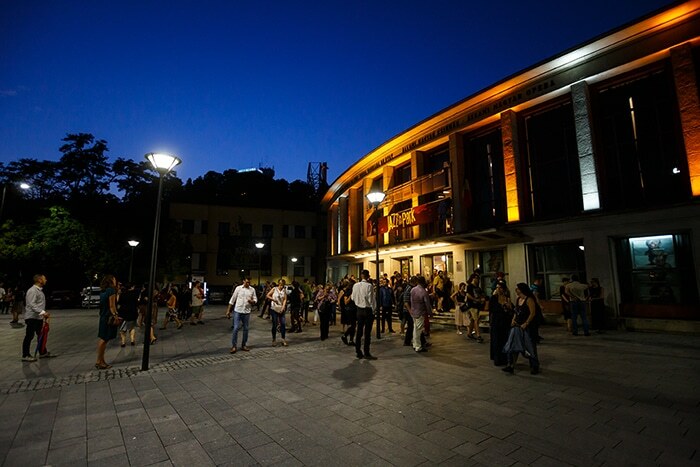 Operating without any interruption since its foundation in 1792, the Hungarian State Theatre is, at the same time, the oldest theatre company in Hungarian language and starting with 2008, it is also the only Hungarian language theatre included in the Union of the Theatres of Europe! The Cetațuia hill is a Habsburg fortification built between 1715 and 1735, based on the designs of the military architect Giovanni M. Visconti. With star shaped walls, the old fortification consisted of a redoubt and a tower, being surrounded by strongholds, while on the outside, it was surrounded by an earth reinforcement. 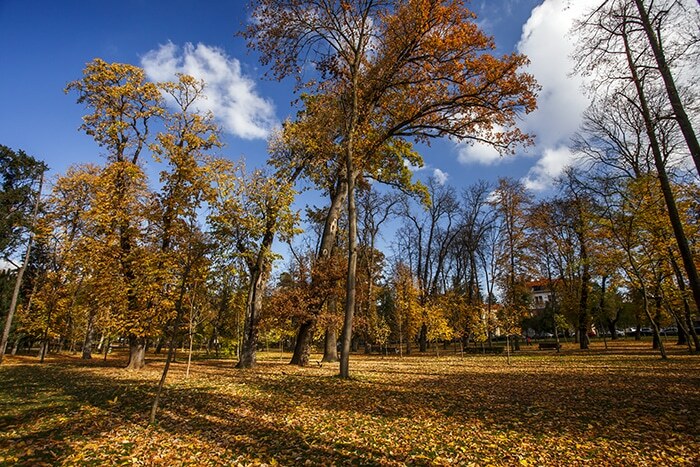 The ,,Simion Bărnuțiu” Central Park or the Grand Park, as it is also called, is a true relaxation oasis for the inhabitants of the city, as well as one of the tourist attractions usually found on the list of those who visit Cluj-Napoca. The Central Park is one of the main green areas in the city’s center, spreading over approximately 13 hectares of land. 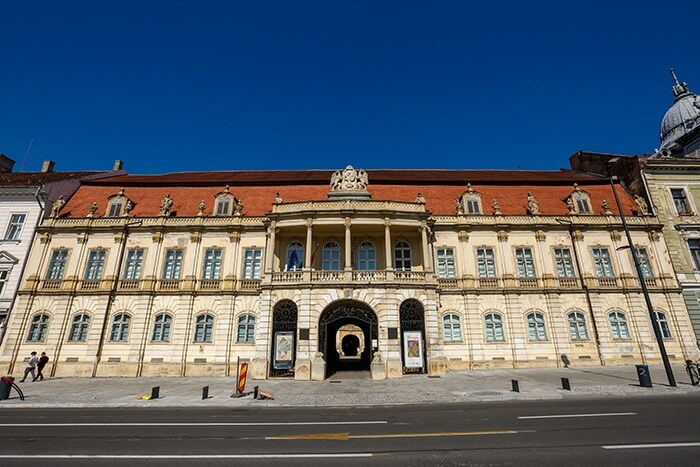 The Art Museum of Cluj-Napoca is one of the most prestigious artistic profile museum institutions in Romania, with a valuable heritage, which includes Romanian and universal art, dating back to the 15th century and up to the present date. 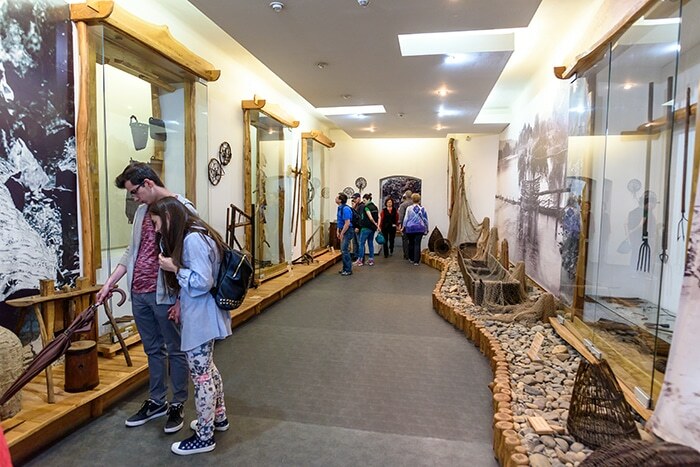 Founded in 1922, the Ethnographic Museum of Transylvania is not only the first ethnographic museum in Romania, but also the first Romanian museum designed based on a scientific program. The research campaigns carried out between 1922 and 1923 have led to the purchase, as ethnographic materials, of 1230 objects and to taking 160 photos, which have become, in 1923, the museum’s first permanent ethnographic exhibition. 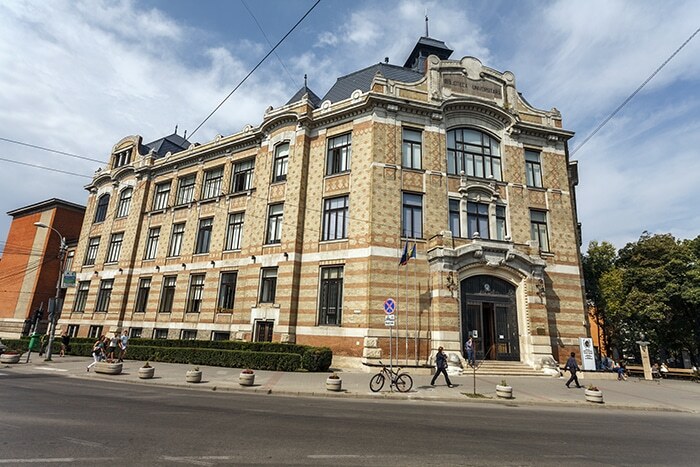 The ”Lucian Blaga” Central University Library of Cluj-Napoca is not only of the most important university libraries in Romania, but also the largest library in Transylvania! The B.C.U. (C.U.L. ), as the locals and the students call it, has also a museum feature, due to its encyclopaedic, cultural and scientific profile and to its legal storage right, as well. 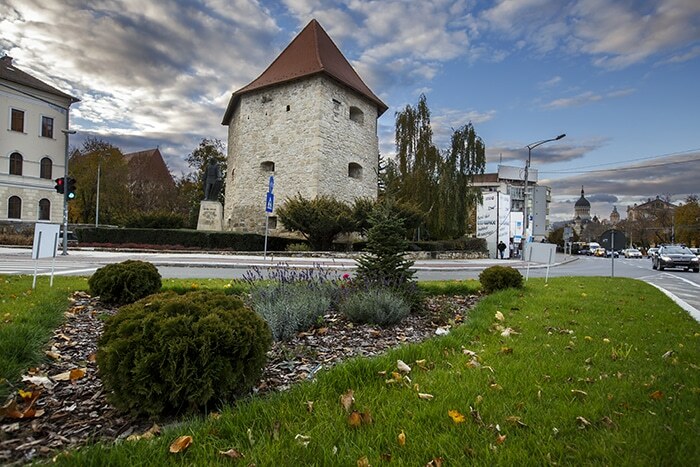 More than 500 years ago, the Tailors’ Tower of Cluj-Napoca used to be, most probably, the Fortress’s strongest point of defence, being located in the most exposed area, danger-wise. Bearing the name of the guild that was initially responsible its maintenance and defence, the Tailors’ Tower has been destroyed and rebuilt several times. 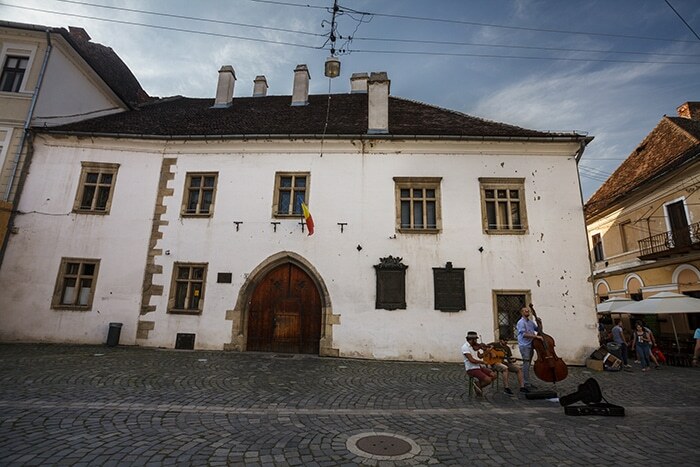 The House of King Matthias Corvinus is an attraction point of the city of Cluj-Napoca, not only because here, inside the building located at no. 6 on Matei Corvin Street, the King Matthias Corvinus was born, but due to its architectural uniqueness as well. The House of Matthias Corvinus is the only palace in Cluj-Napoca, representative of the period when the transition from the gothic style to the renaissance style was unfolding. The building is a historical monument, being built at the end of the 19th century, in an eclectic style, with Viennese influences. 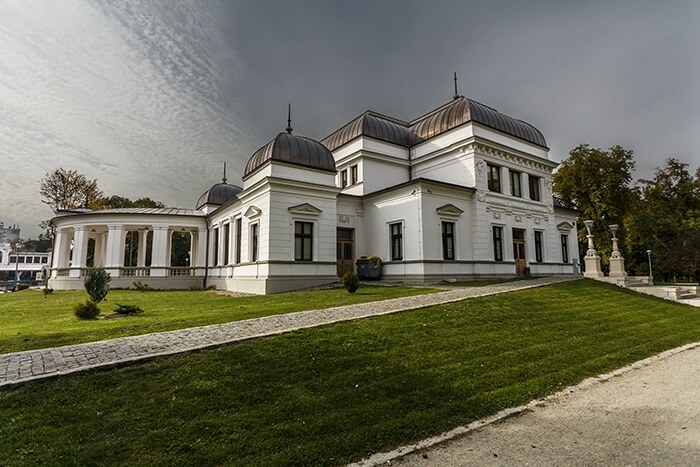 The construction of this true palace was based on the designs of architect Pakey Lajos, the one who designed the well-known Continental Hotel, as well and other historical buildings in the city of Cluj-Napoca. The Orthodox Cathedral of Cluj-Napoca is one of the most important religious buildings of the city. Its construction lasted for ten years, between 1920 and 1930, right after Transylvania’s unification with Romania. In the past, it was called Strada Podului (The Bridge Street). 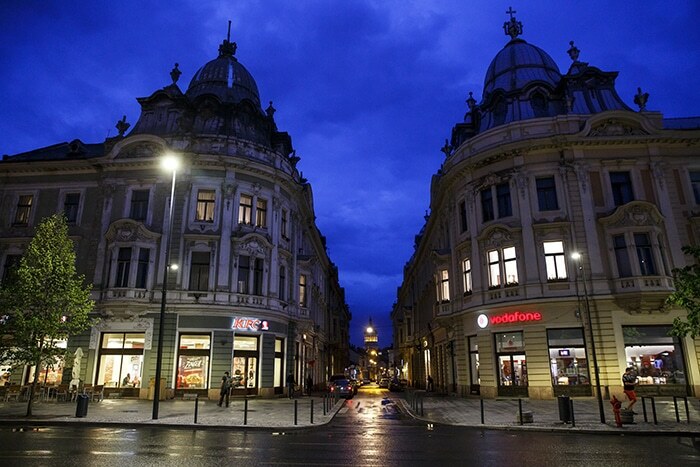 Today, the Regele Ferdinand street is known as one of the main streets of Cluj-Napoca, featuring an intense business activity, being, at the same time, an important connection between the Unification Square and the Mihai Viteazu Square. The Museum Square is the oldest square of Cluj-Napoca, being located in the centre of the old fortress’s first fortified premises. 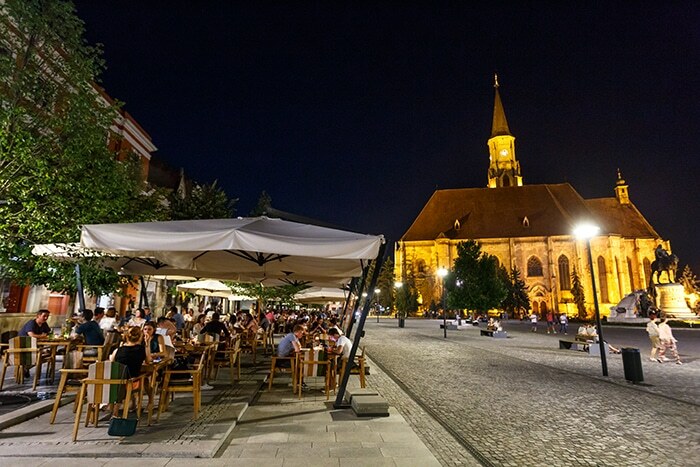 Known in the past as the Small Square, the beloved square is nowadays named after the National History Museum of Transylvania, located in the western end of the square. One of the city’s largest squares, the Avram Iancu Square used to be, until the second half of the 19th century, a training grounds for soldiers, which later on became a pasture and then a cattle and wood fair. In the second half of the 19th century, the area was reconsidered, for the civic expansion of the city.